I'm a 57-year-old radio newscaster living in the Big Apple, New York City. Before I moved here and went back to the news business in 2003, I spent a decade or so making documentaries, mostly for cable TV networks. I've been working in broadcasting for more than 25 years, first in radio and TV news; then in long-form TV; and now back where I started in radio. I've had a pretty interesting career — and, actually a pretty interesting life, so far. I was raised in the San Francisco Bay Area, where my mom and brother still live. But working in broadcasting has guaranteed a nomadic life from the time I left home to go to UCLA. Since then I've also lived in Wyoming, Colorado, and Miami and Washington, DC (twice!) — never in any one place for more than 3½ years... until now. The pages below outline my career, my hobbies, and my personal life. "I've just spent about a half-hour in Timland and I recommend a visit.... Everyone and their dog seems to have a blog these days but they're mostly self-absorbed rants. Yours is a refreshing change." "Curran maintains a great site about himself, and his trials and tribulations with [the Boy Scouts]"
"What a charming site of an equally charming life..."
Life runs in cycles, doesn't it? My broadcast career started in radio, and in many ways that remains my first love. Now I'm back where I started, as the News Director of OutQ, the gay channel on Sirius Satellite Radio. Between the radio bookends of my career so far, I spent years in the trenches of TV news, and about a decade making cable documentaries. In 1981 my Boy Scout Troop was forced by the local Council to expel me from my position as Assistant Scoutmaster solely because I'm gay. With the assistance of the ACLU, I sued the Council for violating the California's anti-discrimination law. In March, 1998 — after 17 years in the California courts — the state Supreme Court finally ruled. I love New York in April, how about you? Here's a look at my New York City home with contact information, plus the latest in my life, and a remembrance of friends gone but not forgotten. 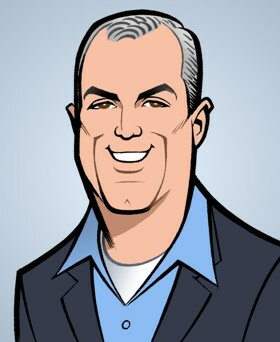 This site was last updated on August 17, 2008, when I replaced my corporate photo headshot with the charming cartoon that Glen Hanson drew for the Sirius OutQ website. On May 18, 2008, I added the Twitter feed above. Before that, I made all information on the site current, freshened many of the pictures, put in some code so my age is always correct, and added streaming video from my demo reel to the Samples page, all on January 21, 2008. If you're looking for the web-site of Tim Curran, the former pro surfer, sorry, I'm not him. 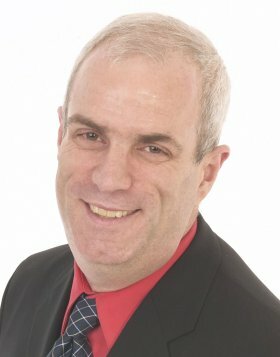 Dr. Tim Curran, the neuro- psychology researcher also has his own website. So does Tim Curran, the horror author. As best I can tell, Tim Curran, the political editor of the Washington Post, does not have a web site to call his own.